The Department of Campus Involvement-Civic Engagement program focuses on supporting and promoting Volunteering and Academic Service-Learning initiatives for individuals and groups on or off campus. Our mission is to provide students the opportunity to develop leadership skills, a sense of belonging, and civic responsibility through involvement in meaningful, reciprocal service. Need volunteer or service-learning hours for a class, student organization, or just want to volunteer on or off campus? Apply what's been learned in class in a community setting - to mutually benefit all involved! Check out service and volunteer opportunities and events for you to get involved with on or off campus. Service work could get you recognition and/or monetary reward! 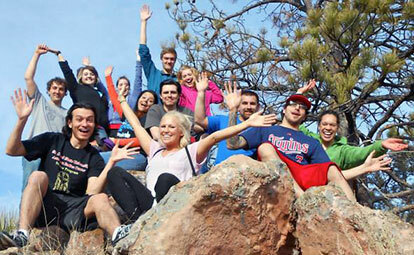 Check out the difference SCSU students and community make in the lives of others. Civic engagement reports, designations, and more. See our SCSU community members in action at events on and off campus!